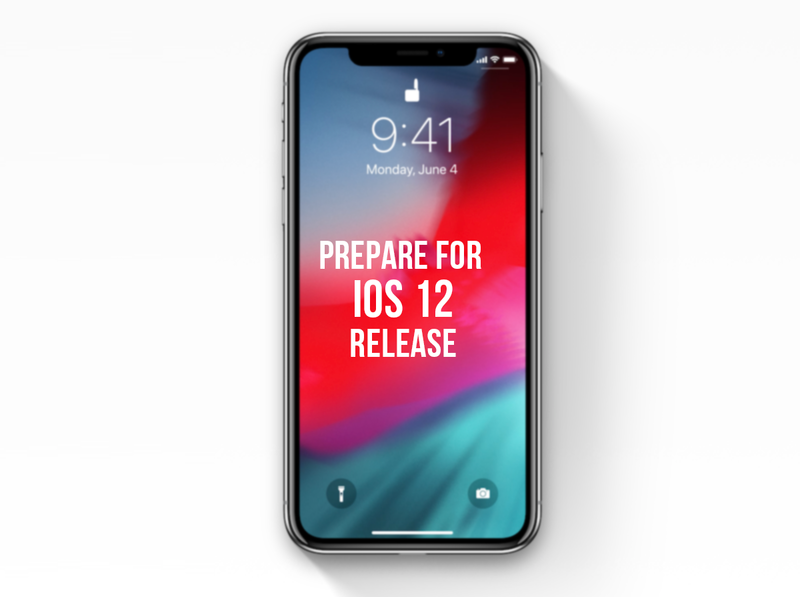 As we told you yesterday about iOS 12 release time and it is expected to be released tomorrow September 17. iOS 12 comes with handful features like a customizable Control Center, powerful multitasking and more in this post we're going to guide you how to prepare for iOS 12 release on your iPhone/iPad by making some stuff..
iPhone XS, iPhone XS Max and iPhone XR will come pre-installed with iOS 12 so no worries about anything in case you are buying any of the mentioned devices. iOS 12 requires at least 2GB of free space, so make sure to free up some space on your iPhone by deleting unused applications by going to Settings--->General--->Storage & iCloud Usage--->Manage Storage and then start tapping on the apps that you don't want and tap on "delete app". In order to avoid any kind of issues while updating your iOS device to iOS 12 we recommend you to update iTunes to the latest versions on your Mac or PC. Before doing anything always make sure to backup your iPhone using iTunes as you will be able to downgrade back to iOS 10.3.3 in case you didn't like iOS 12 or for some reasons you want to downgrade. This is a warning to all jailbreakers, if you don't want to lose your jailbreak and lose your installed jailbreak tweaks we are highly recommend you to stay away from iOS 12 as it is still un-jailbreakable.